Maintenance Engineer (Electrical - PLC's) Knutsford £25k-£32k Dependant on experience We have a great opportunity for a Maintenance Engineer to join a leading SME who produce FMCG products for the commercial sector. Running 24/7 all maintenance is to be done during the week. Looking for candidates who have worked in an industrial factory environment using; PLC's, PCB's and conveyors. Applicants must have their 17th edition and/or relevant engineering skills and qualifications. We have a great opportunity for a Maintenance Engineer to join a leading SME who produce FMCG products for the commercial sector. Running 24/7 all maintenance is to be done during the week. Looking for candidates who have worked in an industrial factory environment using; PLC's, PCB's and conveyors. Applicants must have their 17th edition and/or relevant engineering skills and qualifications. Our client are dedicated to maintaining and developing the factory with in-house electrical and mechanical expertise. The successful Maintenance Engineer will be working alongside the maintenance team of two Maintenance Electricians and five Fitters. The vacancy requires an experienced Maintenance Engineer who is capable of unsupervised work in a highly automated plastics factory and is qualified to 17th Edition 2015. * Deal with breakdowns and fault finding of automated industrial machinery. * Working with industrial three phase infrastructure (distribution boards, cables, isolators, contactors). * Working with industrial machinery (pumps, motors, starters, heaters, PID controllers, heaters). * Maintenance of inverters and DC drives. * Programming PLCs and use associated electronics (sensors, relays, solenoid coils). * Electronics maintenance (logic and analogue, ICs). * Soldering: multi-pin plugs and connectors, small circuits, repairs to PCBs. * PC and network infrastructure repairs. * New installations, including the design of both electrical and basic electronic circuits. * Work on alarm and CCTV systems. * Experience with automated factory equipment. * Computer literate (Installation of operating systems and PC repair, updates and backup software). * Follow circuit diagrams and schematics. * Be able to liaise with production and maintenance colleagues. 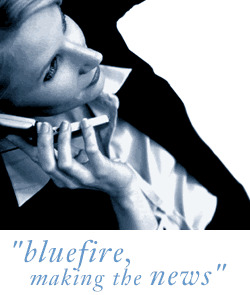 Bluefire Consulting pay excellent referral fees if the candidate put forward is successful.